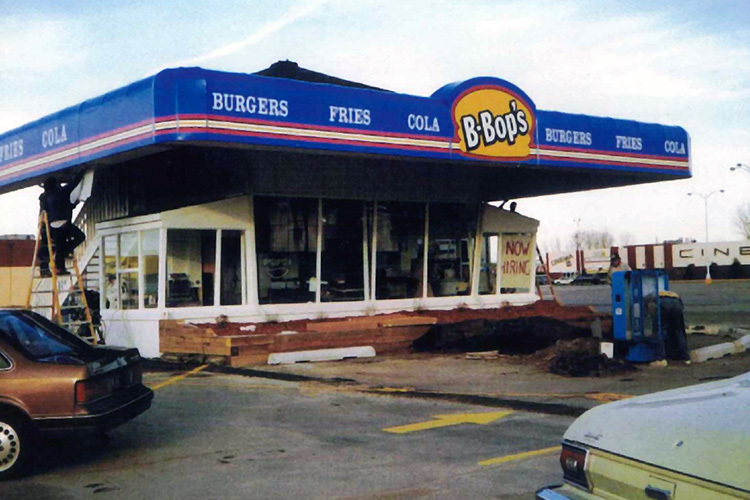 You may know B-Bop's as a drive-thru restaurant, but now we have multiple dine-in locations as well. 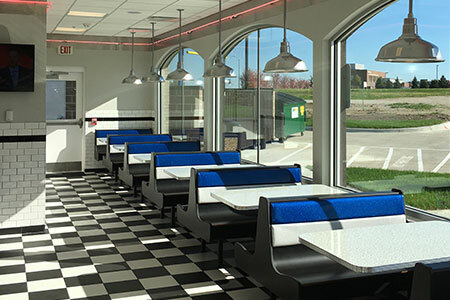 At B-Bop's, you can either roll down your windows and enjoy the carefree music of an era gone by or sit in our retro dining area to be surrounded by a golden era. The wait is never very long at B-Bop's, so you probably won't even get to hear more than a song or two. We have drive-thru windows to serve you your food super fast. You'll be greeted by someone cheerful that will accept payment, which is always easy on your wallet, and send you on your way with your hot, fresh food. We have locations throughout Central Iowa, including the Des Moines area, Altoona, Ankeny, and Ames. At B-Bop's we've found that our customers are loyal. We have families that come back nearly every week, bachelors that come back almost every night and others who crave the great taste of a B-Bop's meal constantly. We're sure that you'll become one too once you've tasted the B-Bop's difference. Is it the quality of the food? Is it because we don't skimp on the condiments? Is it because they step back to a simpler time? Is it the value? Is it the atmosphere? Is it the big smile they get at the drive-up window? It's all of the above baby! To Maintain The Best Burgers and Fries in Central Iowa As Voted On By Our Customers. One thing is certain; B-Bop's success is no accident. Bob Johnson did his homework and paid his dues prior to developing B-Bop's restaurants. In 1970, he began his career in the fast food industry with Mr. Quick in Bollingbrook, Illinois. He began as an assistant manager, a position he held for eight months. Impressed with Johnson's ambition and skill, Corporate offered him the opportunity to become a Franchise Partner in the business. In 1973 Johnson accepted the offer, moved to Newton, Iowa, and opened a Mr. Quick. He later opened stores in Fairfield and Muscatine, Iowa. In 1983 Johnson and his partners changed the restaurant name from Mr. Quick to Sizzlin' Sams. 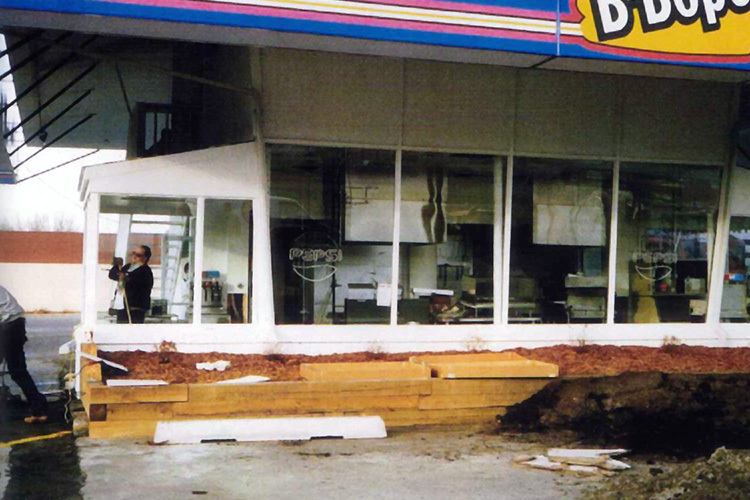 In 1986 Johnson became familiar with the double drive-thru concept. 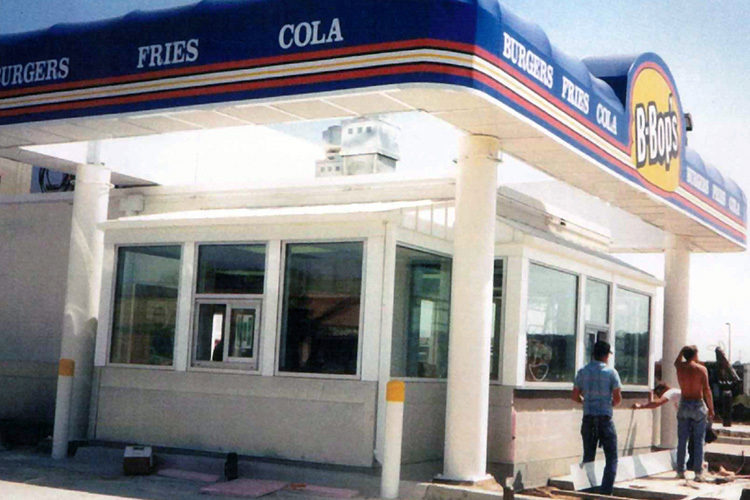 Double drive-thru's were popping up in the sunbelt states and their success impressed him. Johnson began researching the available data and developing his own complimentary ideas, knowing that one-day he would pursue the opportunity. In 1988 Johnson noticed a building located at 1500 E Euclid in Des Moines, Iowa. His research and intuition told him that this was the ideal location to open a double drive-thru. 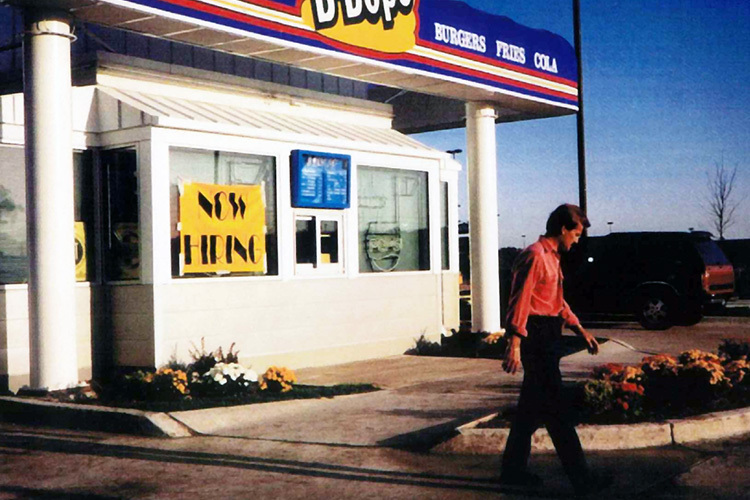 Within six months the first B-Bop's was opened on that spot.